Blog Top 20 IVR Providers In India For All Your Business Calls! Top 20 IVR Providers In India For All Your Business Calls! Be it a large business or a small one, hiring people just to answer phone calls all day becomes a bit of a burden for any company. Handling business calls can be a large undertaking for a business. But just spending on hiring employees to route calls to a different department or answer a simple question isn’t going to be economical. 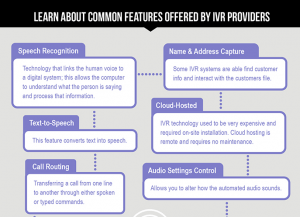 Businesses are now looking into Interactive Voice Response – IVR Providers, to make this process much simpler. Although there are a large number of IVR Providers in India, selecting the right one for your business can be confusing and time-consuming. 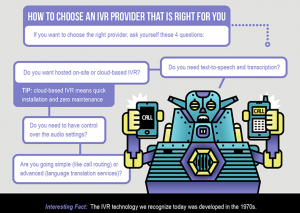 If you are a business trying to figure out which IVR Provider to go to, this is the right post for you! We researched about some of the best IVR Providers in India and curated a list to make your choices much easier. Update: 27th April 2017 | Added 4 more IVR Providers to the list. So here is the list of the Top 20 IVR Providers in India to help you with your business calls! Unleash Your Business Potential with Fonebell Cloud Telephony Solution. Fonebell offers comprehensive communication solutions to help meet customer expectations and sound professional. Their reliable on-premise communication tools establish smooth communication within the organization to boost business productivity. Features & Plans: Audio conferencing, Automatic call transfer, Call audit and barging, Call queues, Unlimited Queues, Agent Login/out without reason, Queue reporting Skill-based routing, Call recording. Building Customer Experience that Exceeds Customer Expectation. Ameyo is an all-in-one software based communication solution, from Drishti-Soft Solutions, that manages end-to-end customer journeys. A powerful and highly flexible IP-based contact center software that lets you have a personalized interaction with every customer across multiple channels. Features: Auto call distributor, Virtual queue management, IVR, Missed call alert, call recording, voice blaster, Automatic call distributor, VQ Pass. Microtel enables people to reach each other, businesses to find new markets and everyone to fulfill their potential. Across the India, We provide Voice SMS, Bulk Text SMS, Interactive Voice Response(IVR) System services for everyone, and much more for businesses. Features: Sound, Record, Text to Speech, read/write IVR data into an uploaded excel sheet, DTMF, Call Transfer, Web API call, Conference, Multilingual greetings. Powering 3 Million customer conversations every day, Exotel, is the building block that helps you stay in touch with your customers efficiently over calls and SMS. A Cloud Telephony Platform trusted by 1300+ companies of all sizes. Features & Plans: Multi-level IVR, Personalised IVR, Recording, IVR menu customization, Real Time Notifications, Unlimited Channels & Channel Capacity, Visual Drag & Drop APIs, Daily Email Reports, Automated calls & SMS, Conditional call routing. Believe in building brands on intelligent cloud telephony solutions. Ozonetel also believes that communication doesn’t have to be as complex as it is. Their core offerings – CloudAgent and Brand Agent – redefine, simplify, and enhance the way in which you communicate, connect, and engage with your customers. Features: Web-based IVR solution, Easy to configure Messages, Text to Speech conversion, Multi-level IVR Systems, Mobility, Skill-Based Routing, Priority Routing, Barge in and call monitoring, Real-time dashboards and reports. IVR guru provides easy control on clients as well as employees. Accelerate business with a faster pace and less effort with IVR Guru. Features & Plans: Virtual phone number, B2B lead generation, Employee tracking system, Customer lead management, Lead Identification, Lead Grading, Lead Distribution, Lead Nurturing. WebXion offers cloud-based IVR Service at Most affordable rates with an assurity that all calls are recorded in their web based call log panel in real time. Phonon has been the pioneer and leader in providing Instant Call-Connect solutions including Click-to-Call. Phonon has developed enterprise-ready customer connect solutions that are platform independent. These allow users to connect to the company representatives through easy web-call-backs and get information at their fingertips. Features: Flexibility to record customer response through key-press, NDNC Compliance, Pan India Presence, Campaign Tracking and Reporting, Multi-Lingual Support, Unrivaled Security measures, Ready Made APIs. Pulse made its foray into the Indian market as an Internet Service Provider and Internet Telephony Service provider in 2003. Ever since its inception, the statistical graph has shown a significant growth in developing a customer base and carrier-interconnections with an end to end VOIP Business Solutions. Features: Improved customer service, Lower cost, Agents have more time to deal with complex interactions/more demanding areas of service, Service with chosen language, Customer Prioritization based on Dialed number identification service and call reason, Call logs available for auditing, performance report and future enhancement. Genesys, the world’s #1 Customer Experience Platform, empowers companies to create exceptional omnichannel experiences, journeys and relationships. Genesys is trusted by over 4,700 customers in 120 countries, to orchestrate 25 million contact center interactions per year in the cloud and on premises. C-Zentrix IVR is used by enterprises who wish to automate their responses to their customers and make it a personalized experience. This helps them reduce cost on human resources and at the same time provide multiple responses (static and dynamic) to multiple callers at the same time round the clock. PEC has been creating innovative, bullet-proof software with a product line ranging from small scale voice mail systems to high-end dial out, and call testing programs, PEC is guaranteed to have a product to suit your computer telephony needs. A Global Messaging and Digital Platform, 3m Digital, provides interactive voice and data services. They enable enterprises to interact with their customers & engage them with a complete end to end service platform which allows Enterprises to execute marketing. Features: Messaging, Voice Solutions, Digital Marketing and Software & Applications Development. Alliance has over the years’ demonstrated expertise in complete software product development. We have expertise in the field of enterprise-grade computer telephony components and e-business infrastructure software. We deliver the critical building blocks to serve the converging Internet and Telecommunication market segments. Features: IVRS Based menu, CTI enabled CRM, Voice Logger, enhanced quality monitoring and optimize agent’s subject knowledge, SMS, Email and Fax integration, Dialer and ACD, Embedded Chat modules,real-time report and charts, analytical conclusions. ARIA is the original designer and developer of PC-based voice processing systems. ARIA provides the software and hardware to convert existing PC’s into efficient Voice Logger and Interactive Voice Response (IVR) systems as well to help you decide on a new PC-based telephony solution for your organization. Features: Voice recognition, DTMF Inputs, CRM, Conferencing, voice logger. iTG India provides Computer Telephony Integration products, which mainly comprise of multi-channel contact center solutions, interactive voice response solutions, VoIP gateways & Tele PCX with support for Analog & T1/E1 interface, Carrier grade solutions which include TeleX C7 SS7 signaling gateways and multi-location VoIP-based enterprise communication solutions. Cube Software Private Limited established in the year 1991, are engaged in offering CTI Products like Contact Center Solution/Quick Dialer, Voice Logger, IVRS, Voice Mail, Screen Logger, Call Billing Software, Conference Bridge, Fax Server, CRM, SMS Server, PMS, Digital Display Boards etc. SAN Softwares helps you to Optimize your sales process, Run marketing campaigns, Wow your customers with seamless support using its communication platform. Call Center solutions, IVR, Dialers, SMS, USSD, Chat are all available. Features: Two-way interaction with the caller, Automatic call distributor (ACD) systems, touch-tone, pre-recorded voice prompts. Speech Recognition Applications, IVR Platform, Customer Care Solutions. Features: Customized IVR platform, customized solutions addressing your requirements, custom develops IVR software solutions, design, develop and maintain IVR software solutions. Cisco Systems, Inc. is an American multinational corporation technology company headquartered in San Jose, California, that designs, manufactures and sells networking equipment worldwide. It is the largest networking company in the world. 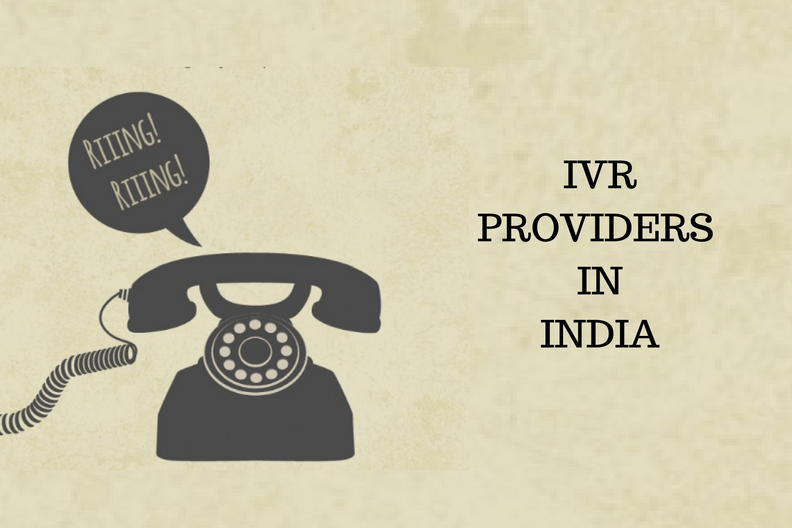 Based on Reader Feedback & Suggestions, we have added 4 more IVR Providers in India to the list! Knowlarity Trusted by over 15000+ businesses across 65+ countries, Knowlarity is the leading cloud communications provider in emerging markets.Knowlarity provides a suite of hosted products that makes business telephony reliable and intelligent. Its flagship products SuperReceptionist and SmartIVR can process over a million calls an hour. MyOperator is a cloud-based call management system that provides solutions such as IVR, virtual number, toll-free number, cloud EPABX, automatic call distribution, call tracking & recording, reports etc. for business. Solutions Infini is a global leader in Mobile Messaging. Widely accredited as Asia’s fastest growing messaging company, Solutions Infini provides a host of services like Enterprise Messaging, SMS Gateway, SMS solutions and Voice based solutions. Asterisk is a free and open source framework for building communications applications and is sponsored by Digium. Today, there are more than one million Asterisk-based communications systems in use, in more than 170 countries. Features: Audio playback and recording, digit collection, database and web service access, calendar integration, and optional speech recognition and synthesis. Take a look at our blog post on The Top Corporate Film Makers in Bangalore and The Best PR Agencies in Bangalore to Work With! For more lists like this, Read our blog or Subscribe to our Newsletter Today! No spam. No promotions. Only the best content to help you improve your website and grow your business.